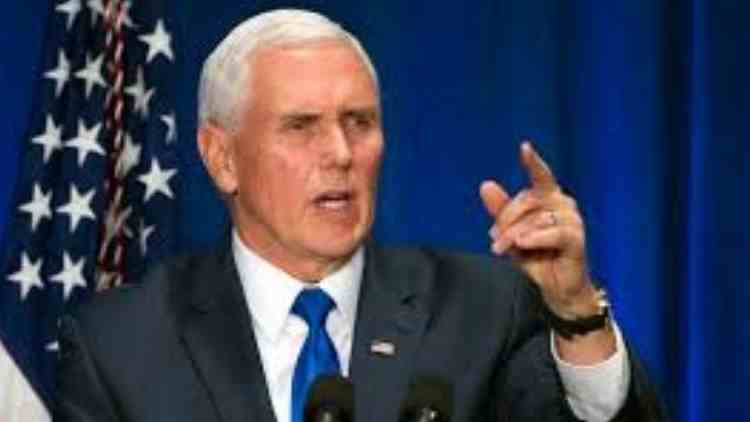 US Vice President Mike Pence has heaped praises on President Donald Trump over his tough stance on immigration, saying he was “doing his job” to secure the US-Mexico border and end the “crisis“. In a series of tweets, Pence took a jibe at the Democrats for its stance on the wall along the US-Mexico border, while urging the Congress to “do its job” in enhancing the immigration laws of the country. “Make no mistake about it: No matter what you hear from the Democrats and their allies in the media, we have a CRISIS on our Southern Border! #BuildTheWall,” he tweeted. “@RealDonaldTrump is doing his job to SECURE OUR BORDER! @CBP is doing their job. It’s time for Congress to do its job and CLOSE THE LOOPHOLES in our immigration laws & end the CRISIS on our southern border!” read another tweet by Pence. “The last 2 years, under @RealDonaldTrump, have been 2 years of action – it’s been 2 years of results – & it’s been 2 years of promises made and promises kept!” Pence said in a follow-up tweet. On Friday, Trump paid a visit to Calexico in southern California to inspect a section of the new wall that is being built on the US’ southern border with Mexico. “If you want to climb that, it’s pretty sharp up on top, too. If you want to climb that then you deserve whatever you can get, but it’s very, very hard. It’s meant anti-climb. It’s called anti-climb, so it’s a great wall and … I think it looks fantastic — very see-through, so you’re able to see the other side, which is a very important element,” CNN quoted Trump as saying during his visit along with law enforcement and immigration officials near the border. The border wall is one of the long-standing promises that Trump had made during his 2016 presidential campaign. On February 15, Trump had declared a national emergency to bypass Congress and fulfill his long-pending demand of building the wall along the border with Mexico. Defending his move, the US President asserted that he had “no choice” but to use his emergency powers to stop illegal immigrants spreading crime and drugs. The move was criticised by the Democrats, slamming it as “unlawful”. Trump praised Republican senators for supporting border emergency.